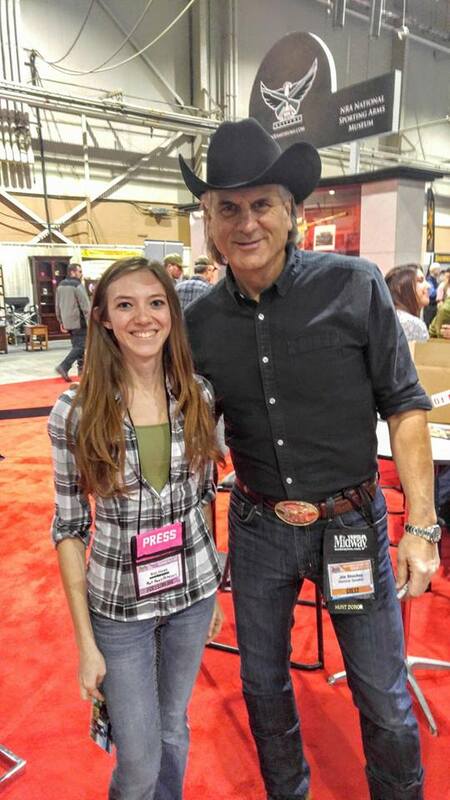 asable products, hunting outfitters, and a vast variety of celebrity guests such as Brian “Pigman” Quaca, Melissa Bachman, and Jim Shockey! My two favorite halls are the Archery Hall and the Shooting Sports Hall. The Archery Hall has everything for bow hunting and competition archery you could ever imagine! One of the best parts of the Archery Hall are the shooting lanes. Anyone from new archers to competition shooters could shoot any bow available from all the top manufacturers and even some of the newer manufacturers. Then you can buy them at discount too! The Shooting Sports Hall is comprised of tons of different gun manufacturers and companies selling ammunition, hats, shirts, and other amazing gear! Remington, Winchester, Smith & Wesson, Taurus, and SIG Sauer are at the show regularly, just to name a few of the great companies you’ll find at this wonderful show! Accuracy Performance & Function, a safer, better gun cleaning solution, had a great display with product demonstration. Their cleaning solution is 100% odor-free and cleans a gun better than any other cleaning solution I’ve used! 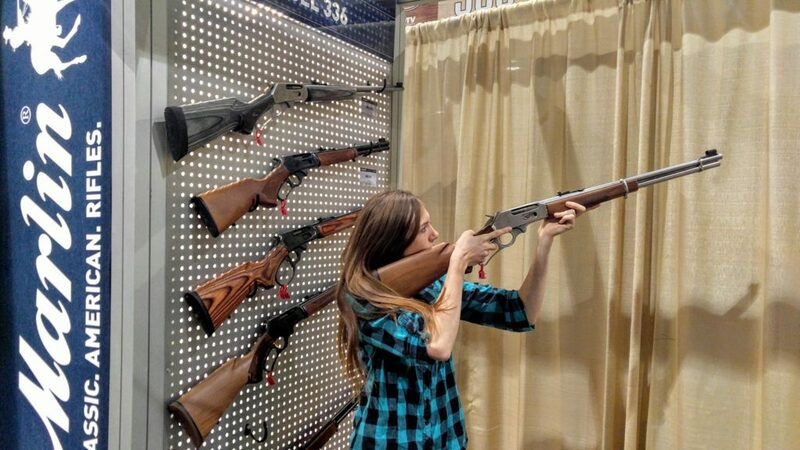 Remington Arms Company brought plenty of new guns for 2017 along with their other companies, Marlin Firearms, Bushmaster, AAC, DPMS, and Barnes Bullets. They also brought along a small load of gun accessories, replacement parts, shirts, hats, patches, and more! From muzzleloaders to AR-15s and everything in between, you can pick up and handle them all! I had the chance to find my favorite firearms and see the newest products from the different companies. 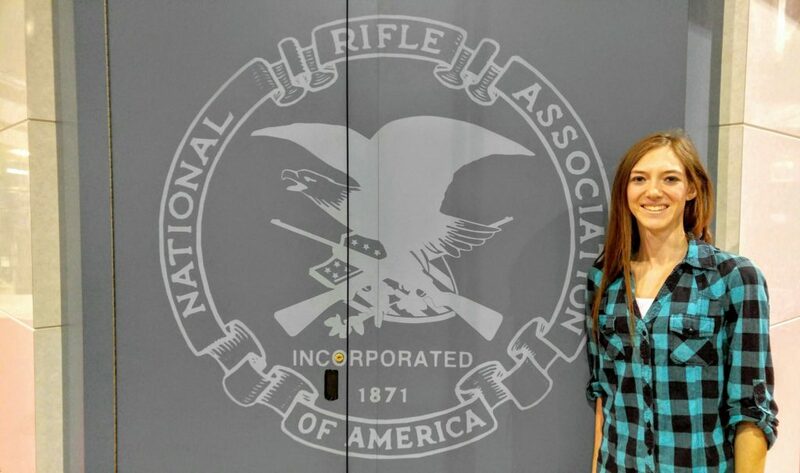 All of the staff at each booth were extremely knowledgeable about each weapon they had brought and the gun laws in most states! Most of the manufacturers had guns with them that were complaint in all 50 states. I was surprised to find a large number of new faces in the Outdoor Product Halls. 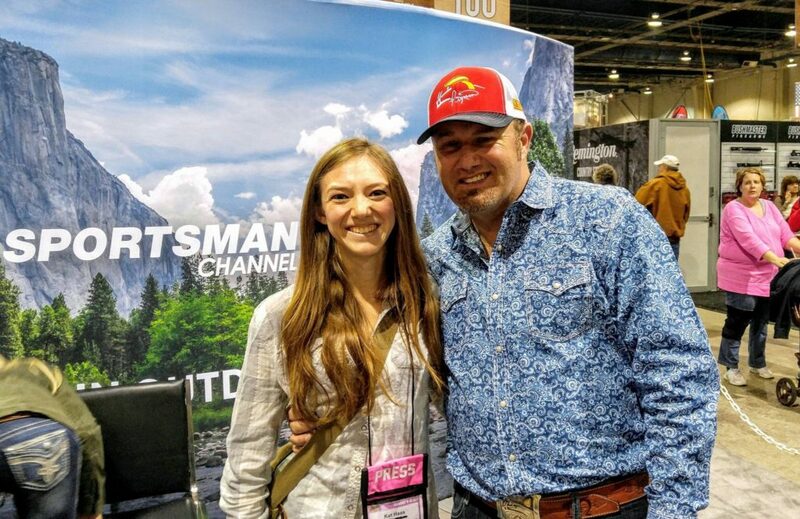 Companies such as Hunter Up Safety, Adrenal-Line, and others took the show by storm, bringing tons of new ideas from all over the world to this great show! Of course there are always the brands we all know and love such as YETI, Cabela’s, and other great manufactures at the show. This year they have all new products to show off! Sherpa Hunting, for example, first started out making an attachment for your climbing tree stand that turns it into a game cart. This year they introduced attachments for your ladder stand to make it easier to transport and a set of wheels for your cooler. All in all, I recommend this event for all outdoors people and their families! I’m already excited for next year and I hope to see you there! Mark your calendar today for February 3-11, for the 2018 NRA Great American Outdoor Show!